I absolutely loved the entire contents of this month's box! Such a beautiful mix of nail polish shades. I am wearing this shade in the video and it is such a great colour. The formulation is perfect - easy to apply and opaque in 2 coats. This is my only lilac shimmer polish and I can't wait to try it! I've worn this shade as well and thought it was gorgeous. This is one of my favourite metallic shades ever! It looks like subdued rose gold in certain lighting and is not at all streaky. I wore this as a "glitter gradiant" (as best as I could do, haha) and this is a beautiful glitter polish. It definitely reminds me of the luxuriousness and over-the-top-ness of the 20s. What made me love the May collection even more were the products that were included! 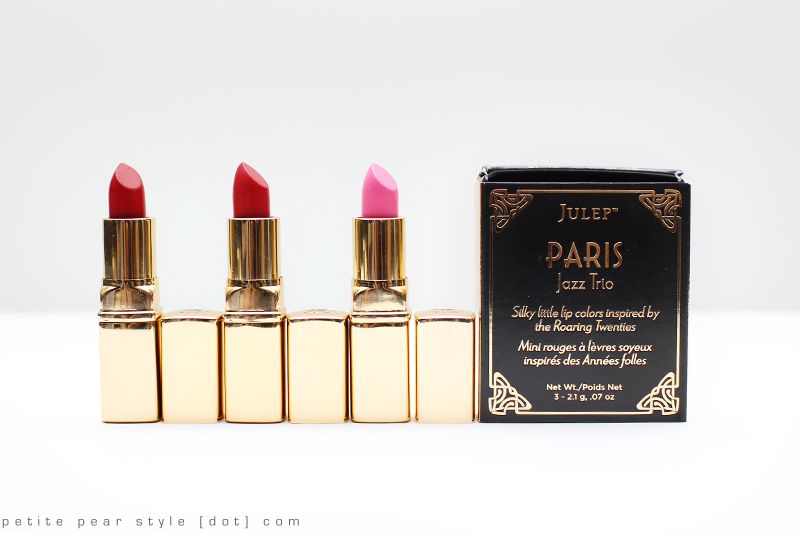 We received 6 mini lipsticks. The packaging was gorgeous as well! This is supposed to be a universally flattering red and I'm excited to test that claim! This looks more like a coral shade to me but I'm not complaining! It is a very sheer lipstick. This is the only shade I've tried so far and I liked the scent but found the formulation a little drying. This is the sheerest lipstick of them all and I find it similar to a very lightly tinted lip balm. 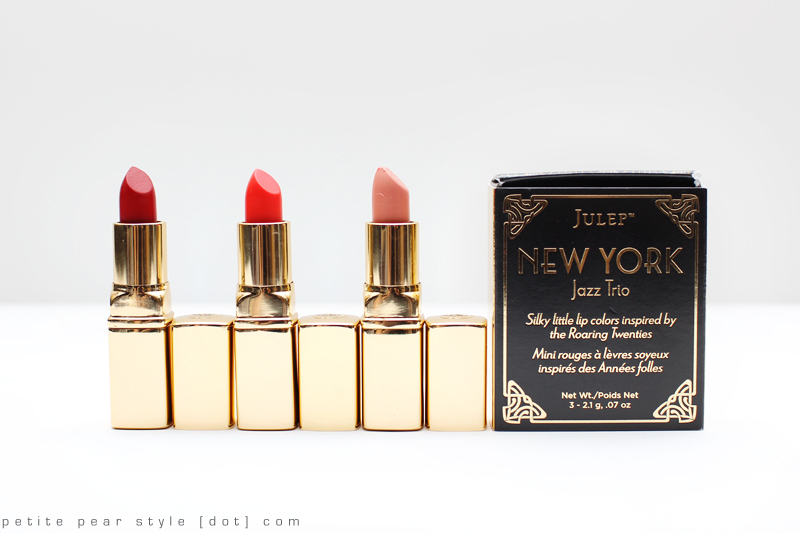 The lipsticks in the Paris Trio had more pigmentation but I think I prefer the warmer tones of the New York Trio. This shade was included in both trios. 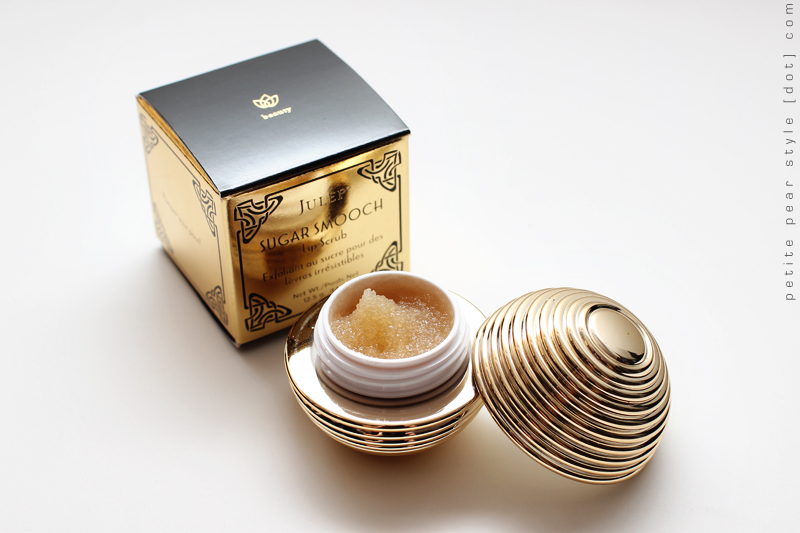 Last but not least, we received a sugar smooch lip scrub in the upgrade box - take a look at this packaging! Overall, I thought this was a very well thought out collection! One thing that was missing in the upgrade box were the little flower hair clips (these were included in the smaller, subset boxes). 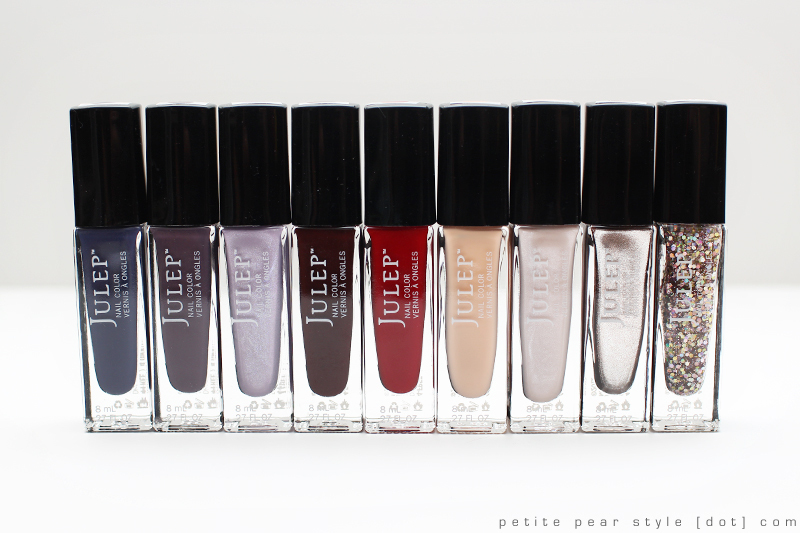 I contacted Julep and the customer service was great - the hair clips will be shipped out to me. Note: I paid for the May Julep box with my own money. i love this collection so much. What did you opt for in June? i do too!! i opted for the modern beauty box in june (with just the DD cream and DD concealer)... which one did you select? I just want the scrub...that little golden ball...it looks like a snitch! the lip scrub is so pretty! it's very greasy though (not just oily)... like smearing lard all over your lips haha. that lip scrub! ♥ haha i agree with jayne..it does look like a snitch!